Established in 1921, Universal Aunts is much the same as it was, even if the Aunts themselves no longer wear fur-collared coats and cloche hats. She found herself a small office in Chelsea, in the premises of her grandfather’s boot-maker in Sloane Street, available until midday. In the afternoon the business transferred itself to the Ladies’ Restroom in Harrods. Thus began an institution that by its 80th year had employed over three quarters of a million women and undertaken over a million services. Universal Aunts speedily developed and diversified. As well as meeting children, requests came in to care for the needs of the elderly; also pets, houses, gardens, children whose parents had to be away for any reason, families needing nannies, housekeepers and cooks, butlers and housemen or special staff for special occasions. Remarkable things were done by Aunts up to and during the war. 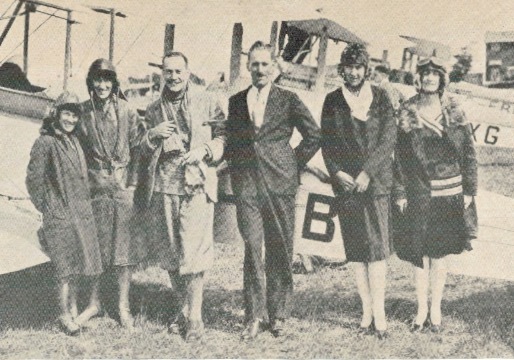 There was a flying school for ladies run by The Hon. Mildred Leith, and planes, boats and cars were delivered all over the world. The Aunts transported a poodle from London to Korea, a pair of Purdey shotguns to Verona, some corsets to Florence, two dolls and six pots of honey to Alaska, and an ambassador’s trousers and a pack of foxhounds to France. The Post Office became used to delivering letters addressed rather oddly: ‘Please Locate and Deliver to Everybody’s Aunts in England’, from America; ‘Odd jobs of all kinds in SW3’; ‘Unusual Aunts’; ‘Universal Arm’; ‘Universal Widows and Spinsters’ and from France: ‘Universal Ends in the Trings Road’. Our original logo Anything for Anyone at Any Time produced requests for the ‘unobtainable’ – there was no such thing – it just took a little longer. A stuffed horse; peacocks for a garden party; an expert to look after a huge tank of piranha fish. The calls have hardly changed through the decades, and we are now caring for elderly clients who were Aunts in their youth. Universal Aunts still endeavours to rise to any challenge, however unusual, and the remarkable history of the company is added to every day.